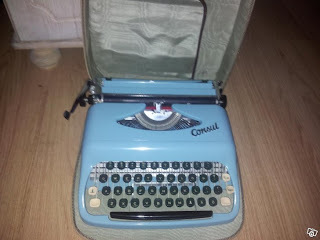 I have a crush on this typewriter. I've been eyeing it on the swedish version of Craigslist for a while. It's blue and the design is so cute. It's also a brand I've never heard of before. And I like to think of myself as someone that knows a bit about typewriters (for a newbie anyway). 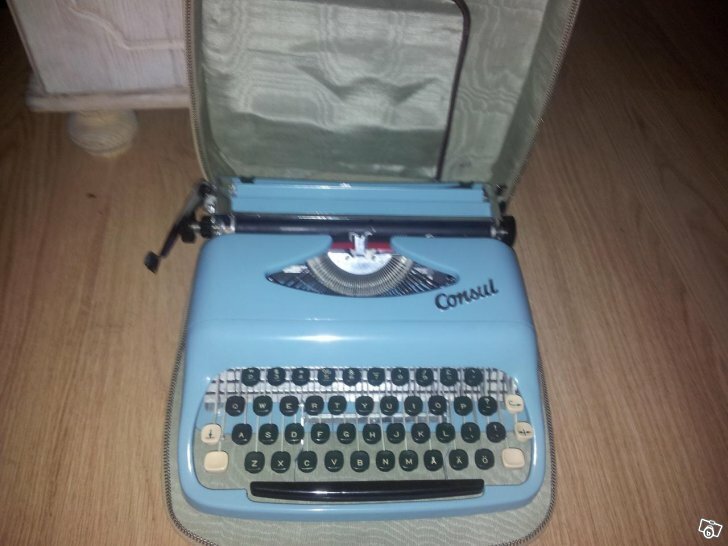 It's just that I will never pay €50 for a typewriter. I paid about €8 for my orange one. There's just something about this one that makes me draw a deep sigh whenever I see it.